I have been MIA for quite some time. 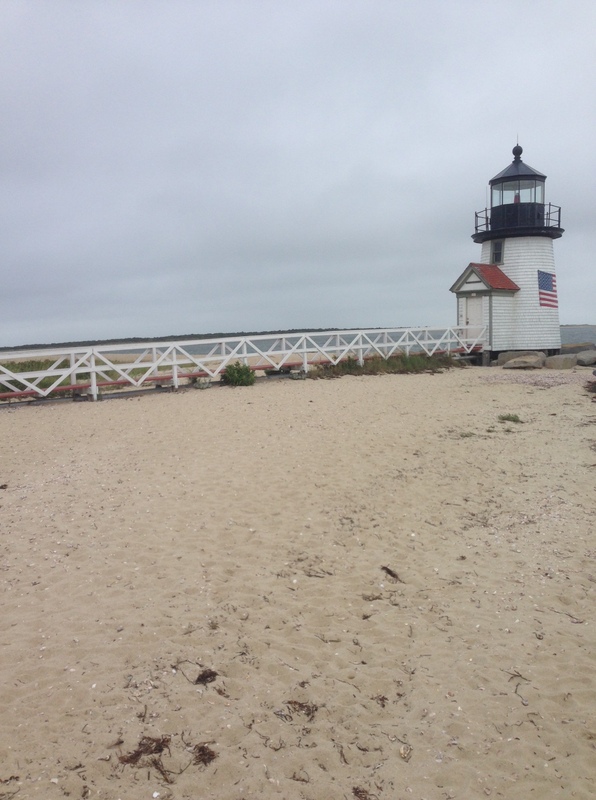 Looking for a house, living on Nantucket and Boston, and having lots of fun with friends on the weekends has taken me away from blogging. Well, I am back and hopefully will have lots of fun things to share. 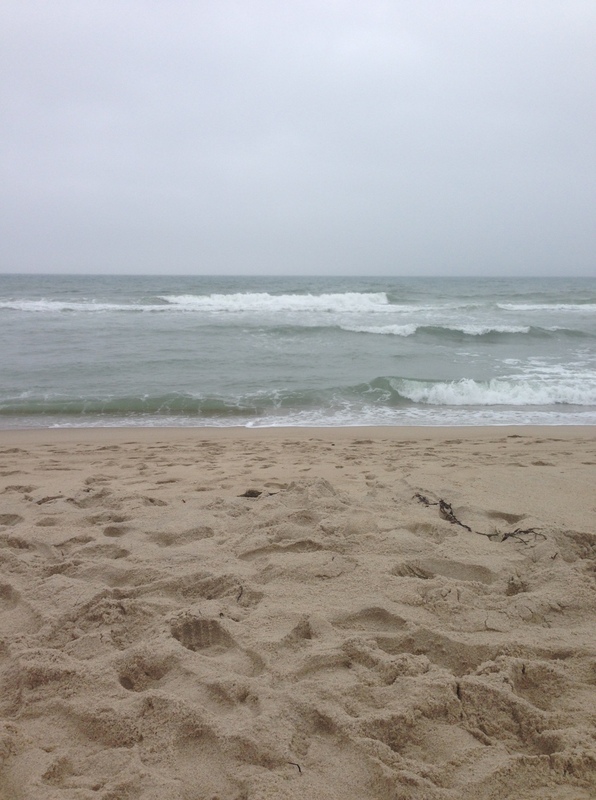 We just got back on Friday from Nantucket once again. If you are planning a trip over this year, revisit my blog. I think we have almost eaten at every restaurant. Not good on the waist line, but so yummy! So far our top three are Le Languedoc Inn and Bistro, Straight Wharf (dining room) and Cru, they have a great warm lobster roll and blue crab cocktail. Le Languedoc, in my opinion had one of the best sautéed lobster and polenta dishes, as well as the best dessert. 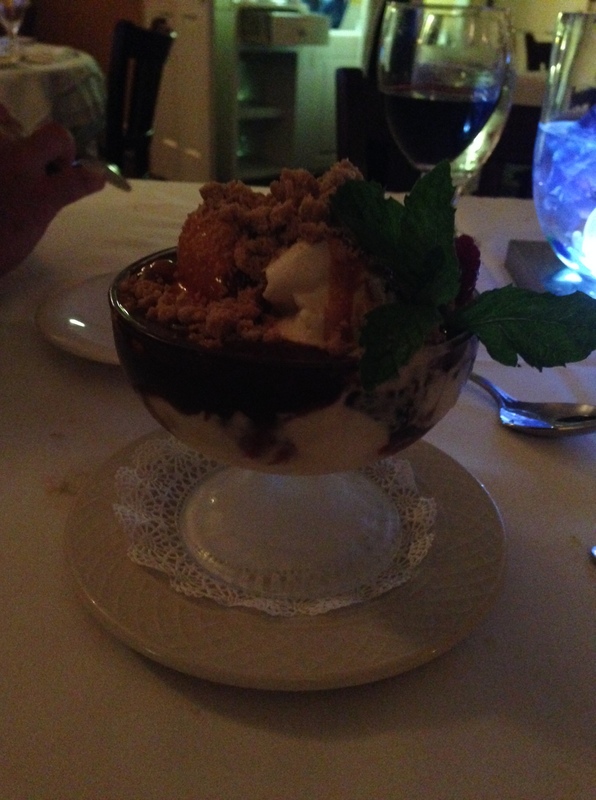 The Crunch sundae to die for! 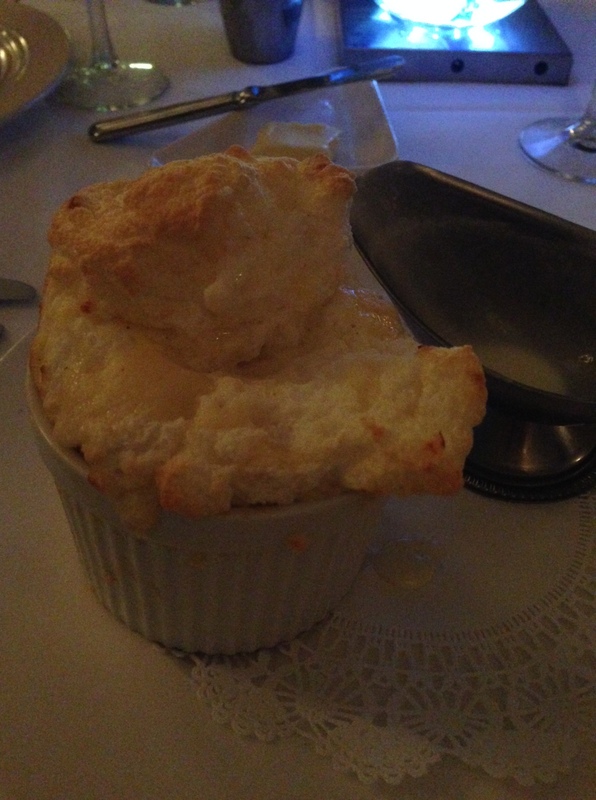 We also opted for the cheese soufflé. Delish! It did end up pouring one of the days we were there. 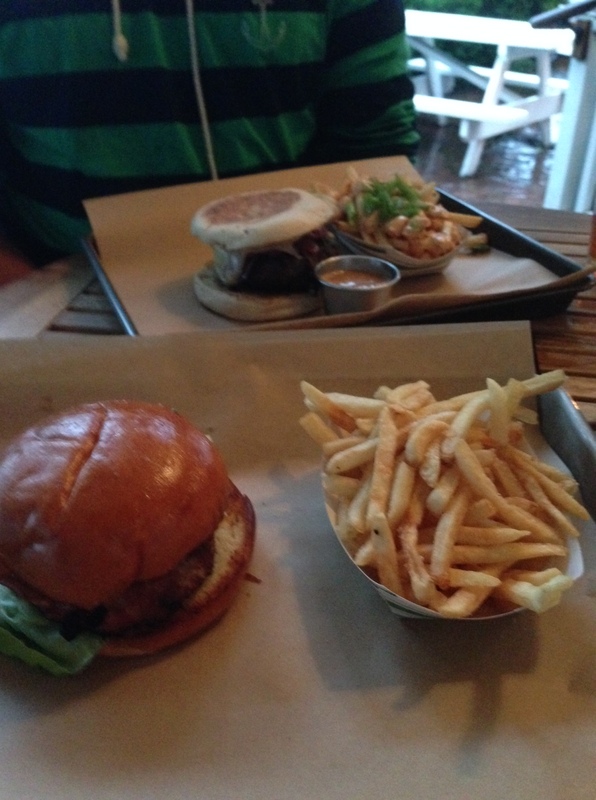 Not to worry, we made the best of our day and ended up trying Lola Burger. It was a good fast food kind of place! I would say its similar to Wahlburgers in Hingham, MA. Not as vast as a menu but very similiar. You can even spot some celebrities there as well. Drew Barrymore was enjoying one of Lola’s burgers as well. As always, we hit up Surfside beach and the Childrens beach for an after dinner walk! Love the beach! Happy Monday! Enjoy the week! We had the best cocktails at the beach a few weekends ago and I wanted to make them again this past weekend to have with some friends that were coming over. Once again, the head of catering at Brix Wine Shop and a great friend of mine, Emily, never fails in this department. Thank goodness she let’s me use some of her wonderful cocktail ideas! 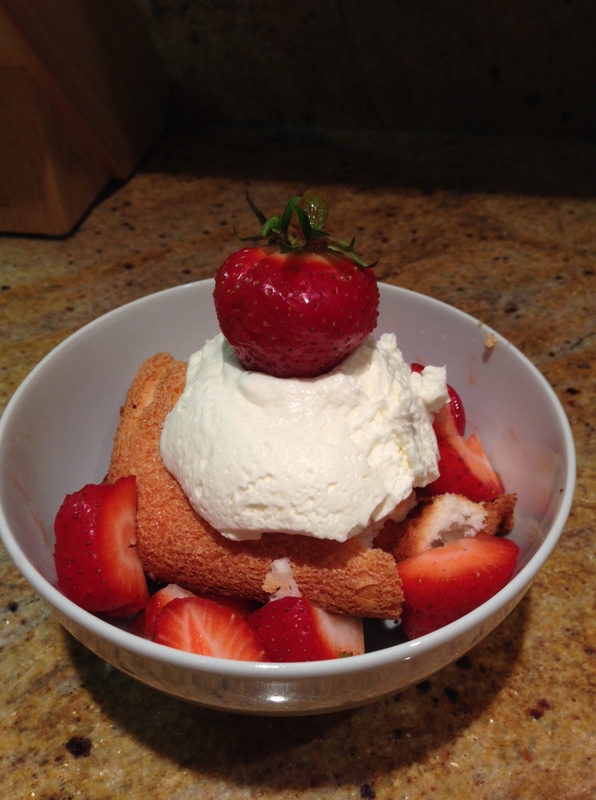 Stop by Brix and she might even share some more of her yummy recipes. Here is one of my favorites! 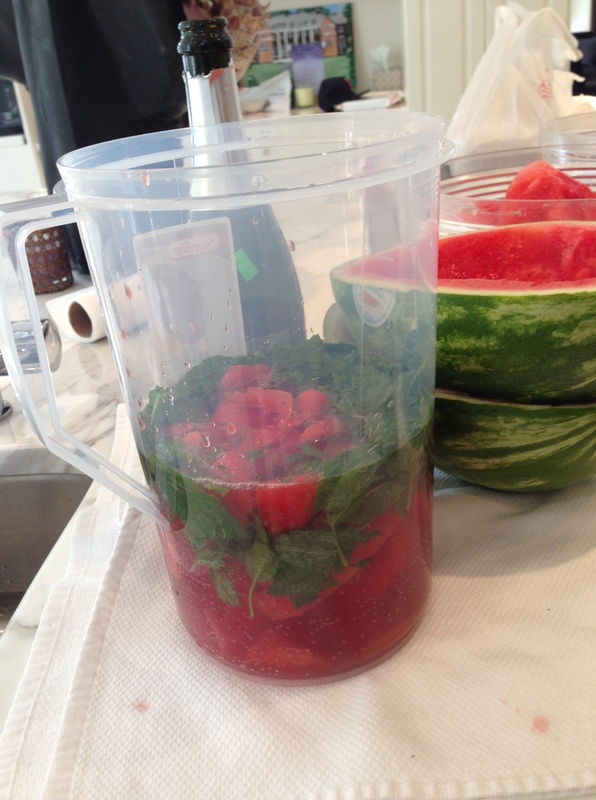 Mix rose with some of the fruit and mint and let sit overnight to infuse flavor. 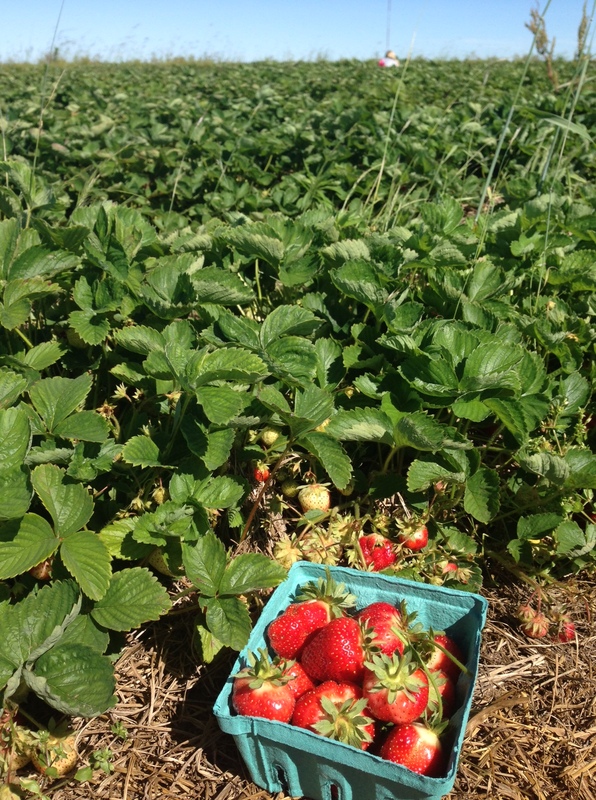 Strain out fruit/mint when ready to serve. Sweeten to taste. (Note: real sugar won’t dissolve well, so make simple syrup if using sugar, see below). 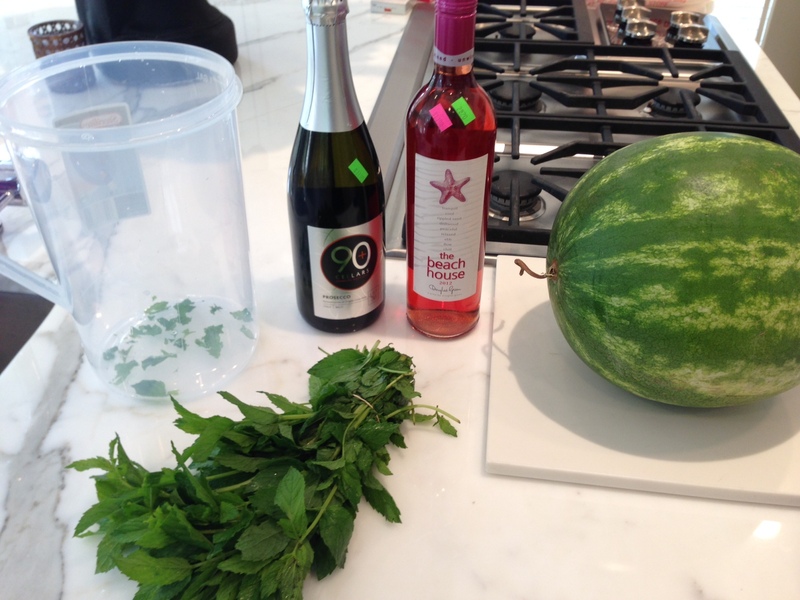 Add fresh fruit, mint, and chilled sparkling wine. Add a few splashes of seltzer for more bubbles. 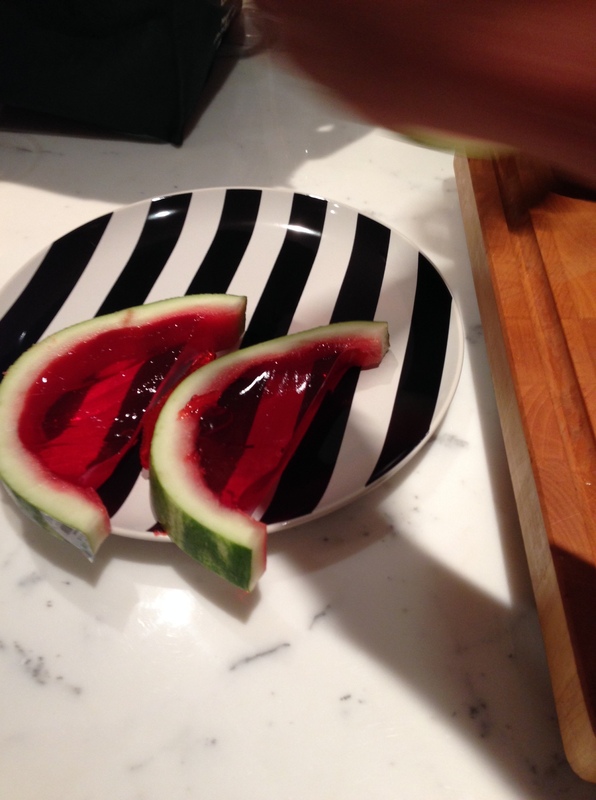 And, we also made this fun Watermelon Jell-O Shots! They were super easy to make and very festive! So, we are nearing mid July shortly and we are still “homeless” and actually enjoying it. I know, the summer is going to come to an end and then reality is going to settle in and I will realize that we really need to make some big decisions. I have in fact come to the realization of where we need to go, now its just finding a place that we both can agree on. Easier said then done! I think we have been in about 50 homes already, looked at plans and land to build and we still haven’t come to any conclusions. As many of you know, I don’t cook but one of the most important places in our new home is the kitchen. 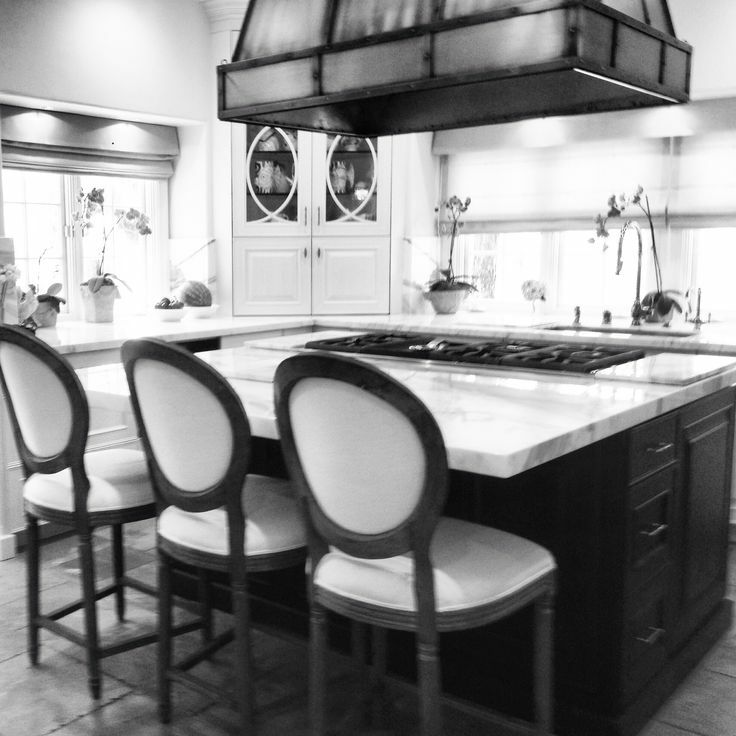 The kitchen is where everyone congregates, eats, talks and cooks. 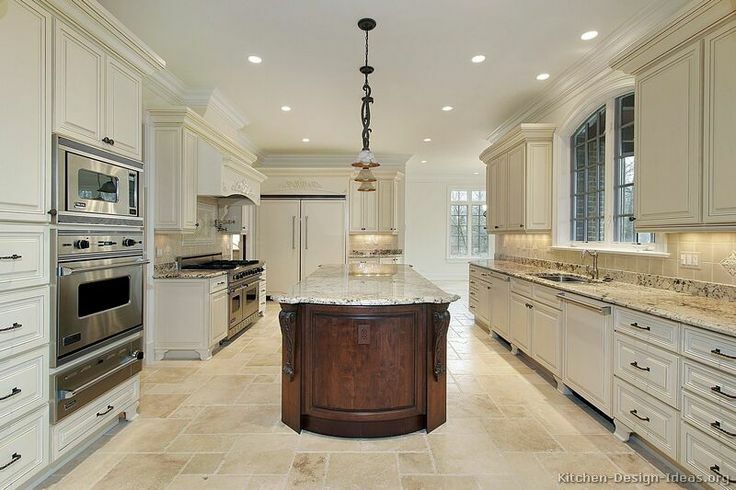 I love kitchens and I have promised to start cooking if I can find a magnificent one! Here are some of my inspirations. We are even considering a gut job in some homes just to build something amazing! I really love detail on the ceiling similar to the the last picture, not of a kitchen but of a living room, created and designed by my mother. 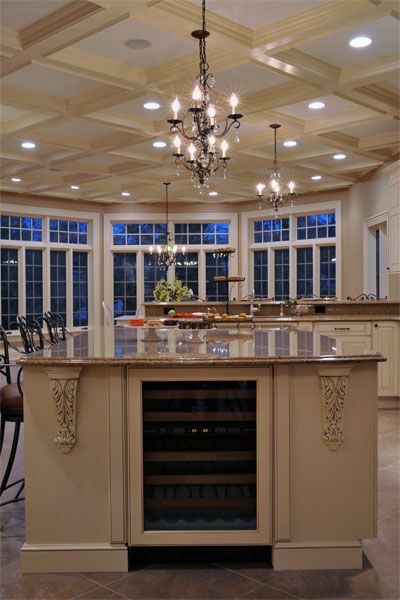 I can see that ceiling in an all white kitchen. I love it! Wish me luck! I know we will find something soon, I hope! 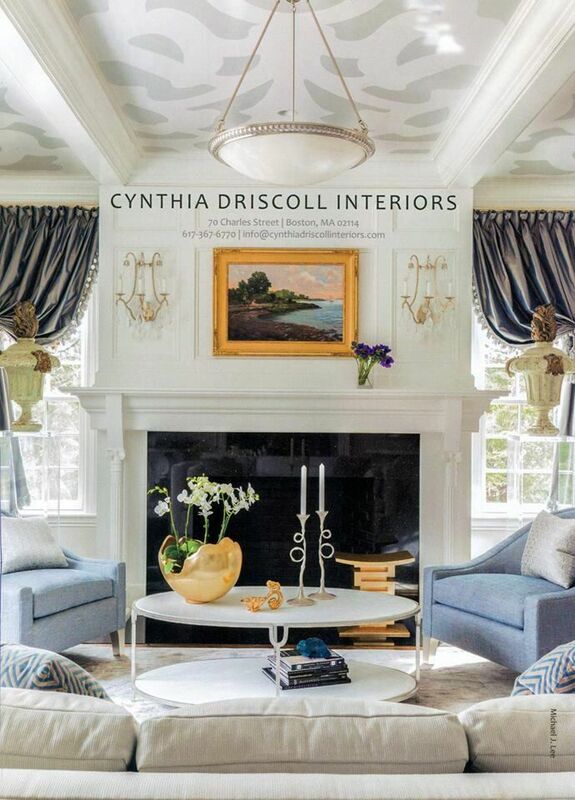 I wanted to share this wonderful piece by a great Boston Designer, Cynthia Driscoll, who has done some incredible work over the years. She has just completed her big project on Nantucket. If you are in Boston stop by here store on Charles Street to say hello! Here is a piece written by Cynthia. Enjoy! 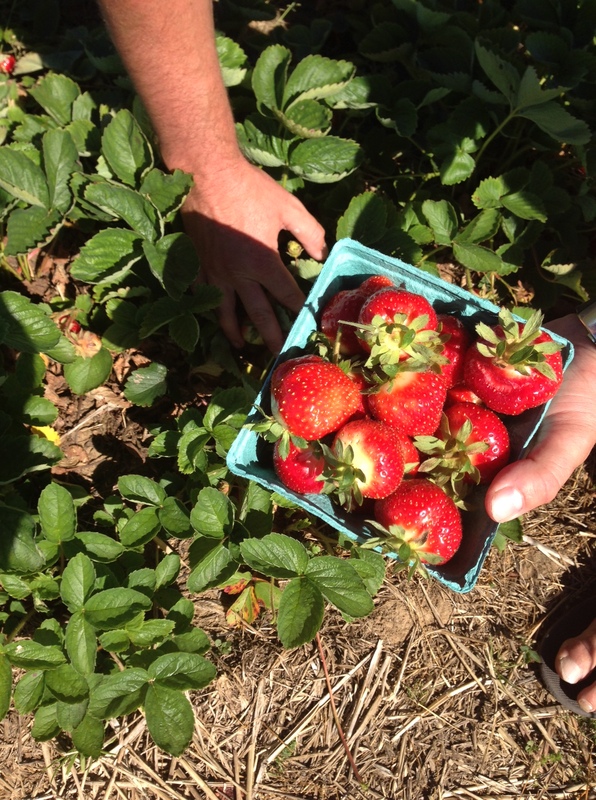 We love Nantucket! Every part of the island is great, but we especially like being near the town center where we can walk to restaurants, shops and beaches. There’s nothing like waking before everyone else and wandering to the nearest bakery for a cup of coffee and a freshly baked pastry. Sometimes I even return with a bag of goodies for the late sleepers. After years of being renters, this winter we had the opportunity to purchase our own house. The place was a mess after seven years of being a “rental mill.” If you’re not sure of the term, it’s a house that’s rented out to anybody, any time, with few or no restrictions. We’ve had four months to restore the house and it’s looking pretty good. Exterior and interior paint, refinished floors, all new furniture and lighting are some of the improvements. One of our terms in the purchase agreement was to have every piece of furniture, every dish, every towel removed from the house. It was quite a nasty place. As a designer, I wanted the house to look chic, but comfortable and livable. I decided to use some modern elements with clean lines, but also a bit of whimsy. The farmers porch is fabulous! I don’t know why and I almost don’t dare say it out loud, but we haven’t had any mosquitoes in the evening. 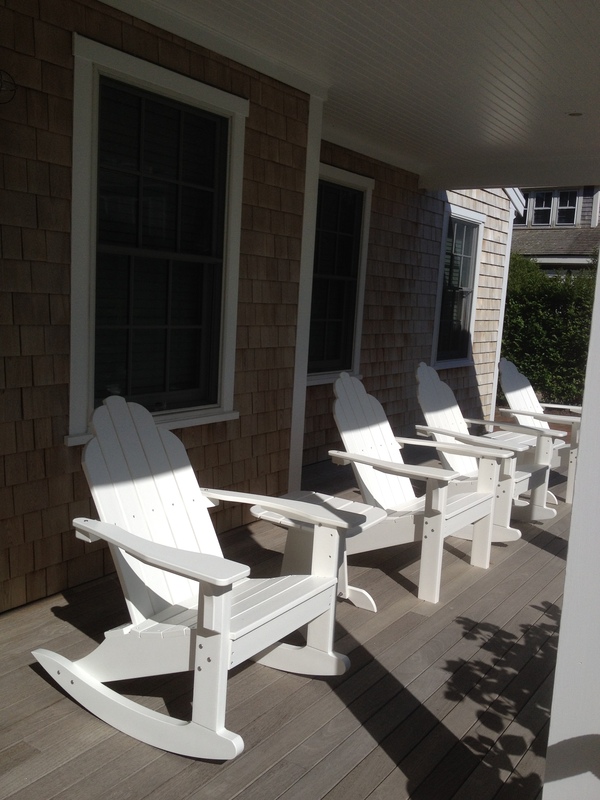 There are eight Adirondacks, four rockers and four classics on the porch. And yes, tables beside each for our evening beverages. 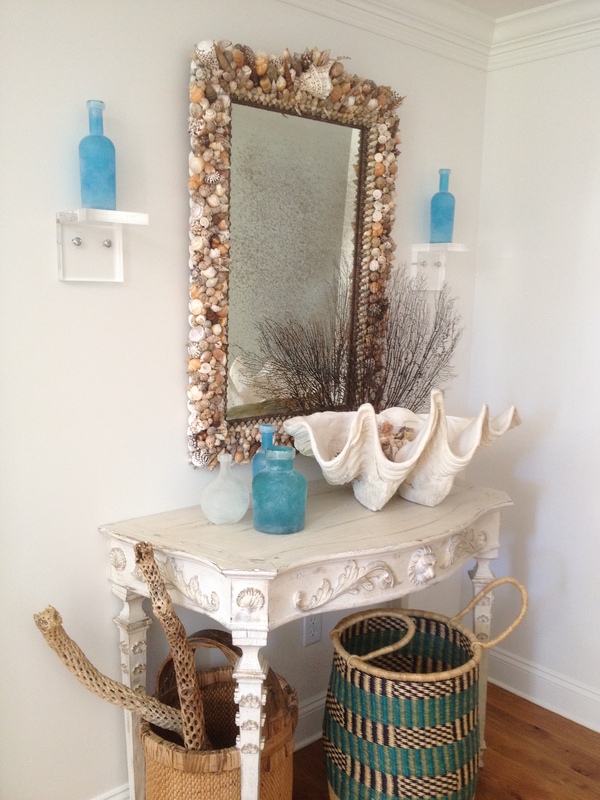 Coming into the entry is a rustic white washed table that holds a giant clam shell as well as green and turquoise sea glass bottles. Yes, there are two bottles on the lucite brackets secretly held in place with mounting tape. The next pic is of the living room. With tongue in cheek, I placed a coffee table between a sofa and two chairs. The table top is called cheese stone (Swiss, I assume) and has huge natural holes throughout. You need to be careful where you put your glass. It’s part of our sobriety test. 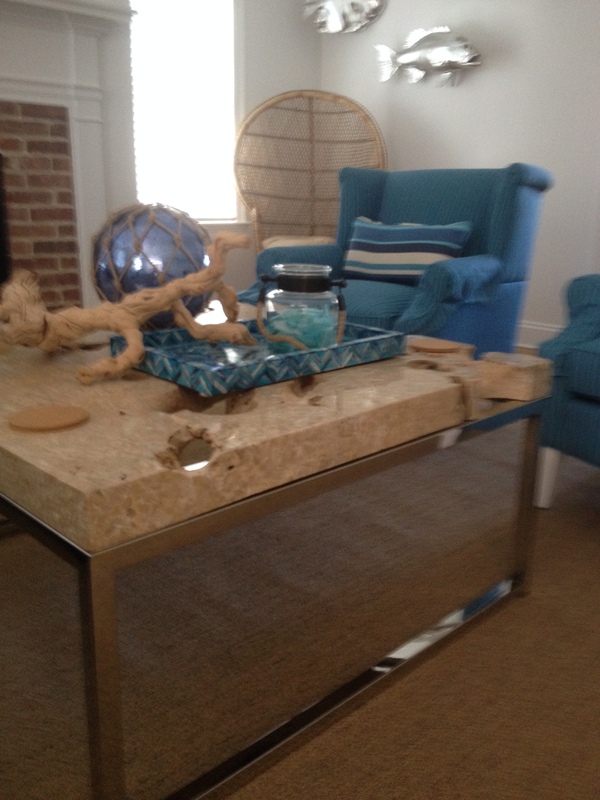 The stone weighs about 400 pounds and is on a stainless steel base. The color theme is blue and turquoise and has other surprises on the wall that you’ll see in the next pic. 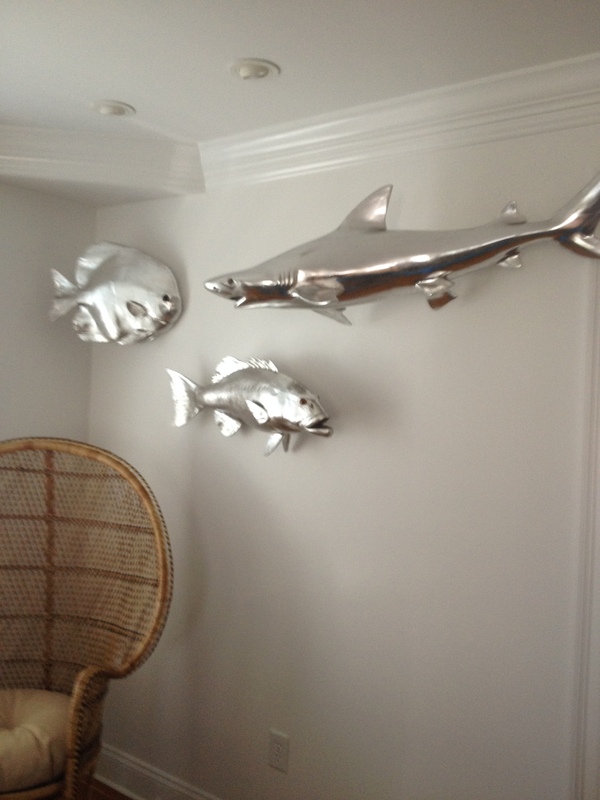 Silver leafed fish are swimming the walls of the living room. The big ones are chasing the small ones and the small ones are getting away…..so far. There are nine of these large specimens swimming around the room. The dining room seats 10. The top is a huge, thick slab of wood. It’s irregular edges are a great contrast to the stainless steel base. 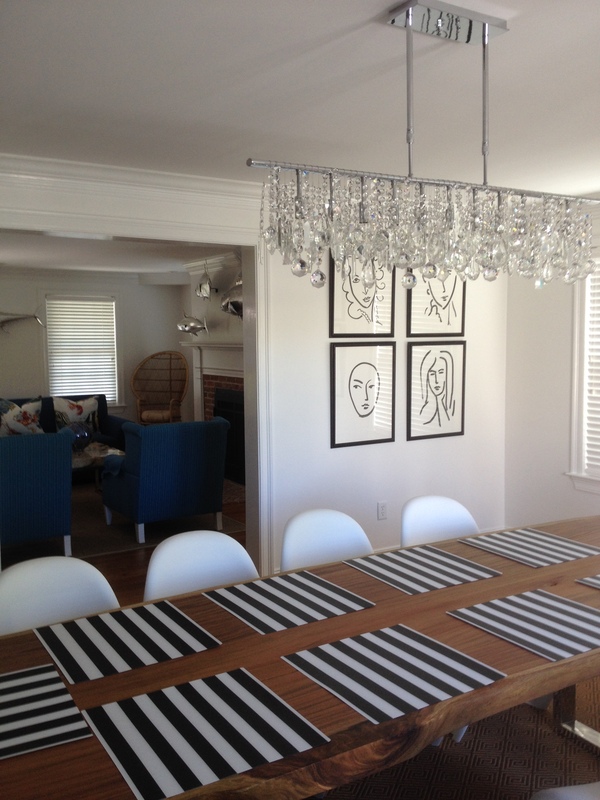 The white chairs are copies of a mid-century Panton chair. They are funky looking, very comfortable and extremely durable. The lighting fixture is modern with lots of strands of crystals hanging from a stainless steel rod. I like to dim it and put lots of candles on the length of the table. As you can see, I’ve had lots of fun with this project. It’s a great house with five bedrooms all with ensuite bathrooms. Everyone gets their own personal space. Some of the bedrooms have their own tv’s if one seeks alone time. There’s a family room tv and in the finished basement a 65″ television to be enjoyed from motorized recliners. OMG, this place sounds fabulous! And it is. More pics later so stay tuned. I’m stepping in and taking over today’s Boston Chic blog from my wife. I felt the need to write a short sports blog for all the sports fans out there, in order to add another dynamic to this already great site….shameless plug. The sport of futball or football or soccer (Christ why are the so many names) has captivated the American public over the past month during this World Cup and as an avid sports enthusiast, I can only hope that it continues to grow here in the U.S. (I need something to fill the lull between NHL playoffs and the start of “American football”. And why shouldn’t it? It has all the key elements that make all sports great. Great rivalries? Check. Exceptional athletes. Check. Deep competitiveness. Check Overpaid primadonas? Double check. Said primadonas bitching about all their calls? Triple Check (Ronaldo), and last but not least…..flopping. I mean let’s be serious for a minute, some of these Nancy’s looked like they got sniped by a bee outta nowhere before they were touched by the opponent and then rolled around on the ground like it was fifth grade and the fire department was teaching the stop drop and roll routine. Just a pitiful display of sportsmanship. But………in the world of soccer or whatever you want to call it, it works. let’s be straight I am only talking about the rest of the world when I make these snide comments. The US made me proud and kept tha BS to an absolute minimum, and played a tournament they should be proud of. 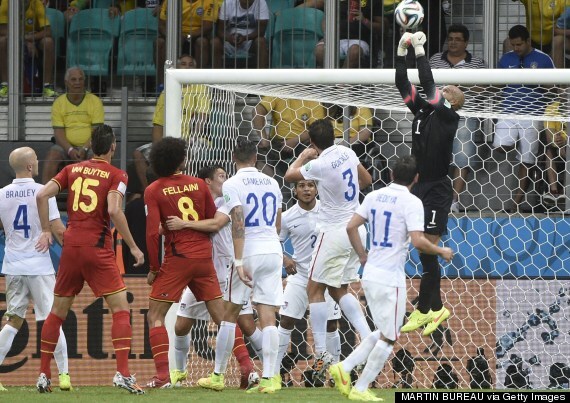 So what is stopping soccer from catching on like the other big 4 sports? It can’t be the egregious flopping, we have that in extreme prevalence in the NBA (lebron) and in the NHL (all of Montreal……god I hate them) and both those sports are dominating in the US market. I thought it was lack of the superstar, jordanesqe status of the MLS players but Beckham proved that wasn’t the case either. This is a stumper. Cold Brew! Just like in Italy! 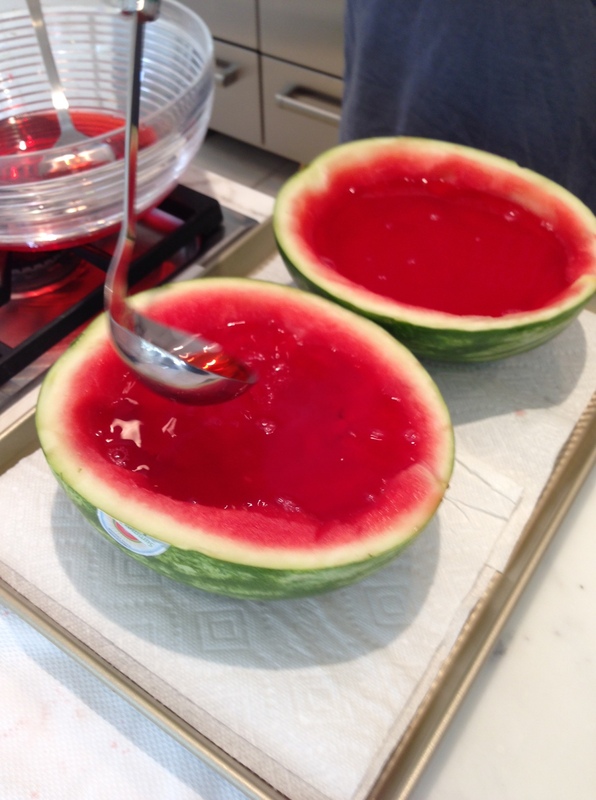 We tried out this recipe yesterday and woke up this morning to make it. The last time we had a fabulous cold brew was in Italy. They make ice coffee like this all the time. This is not only very strong but its delicious. 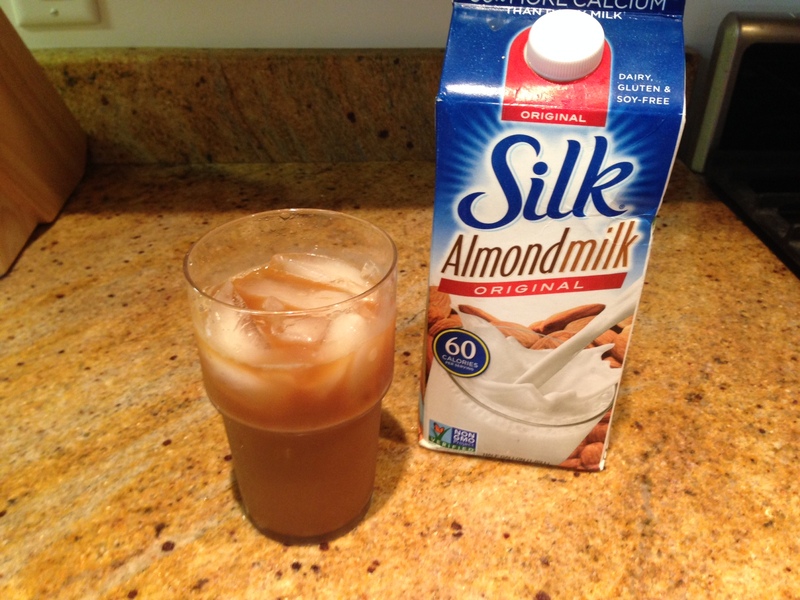 I like to add almond milk and water to my batch to dilute it a bit more. Enjoy! 1. Grind 1/2 lb. of coffee beans to medium grind. Not too fine, not too coarse. We just used store bought coffee already ground and it worked perfectly. 2. 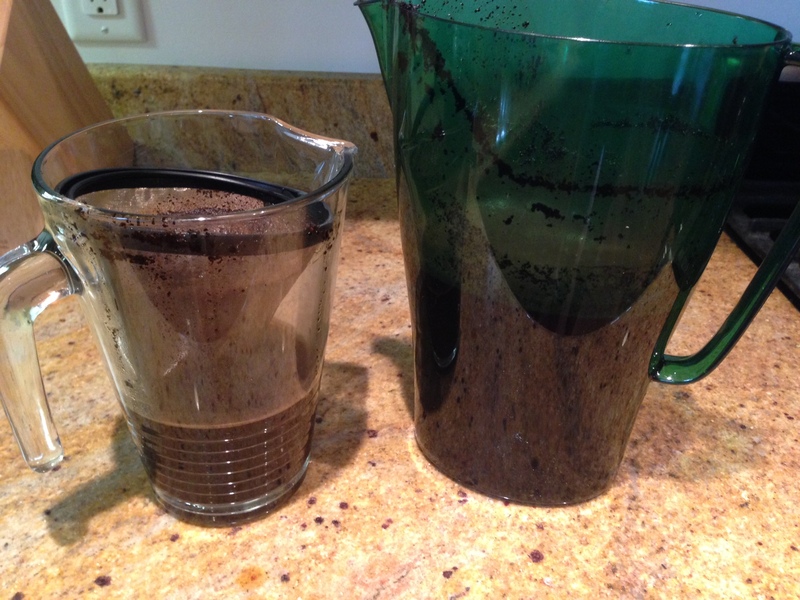 Spoon coffee into a large jar or a pitcher. 3. Add 9 cups of room temperature filtered water. 4. 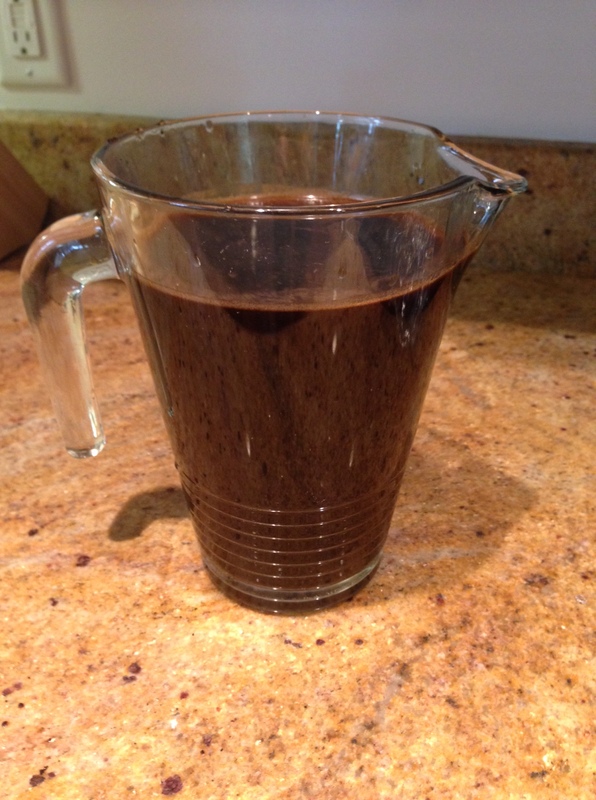 Using a long wooden spoon, stir gently until the coffee grounds on top are incorporated into the water. Don’t stir again after this step. 5. 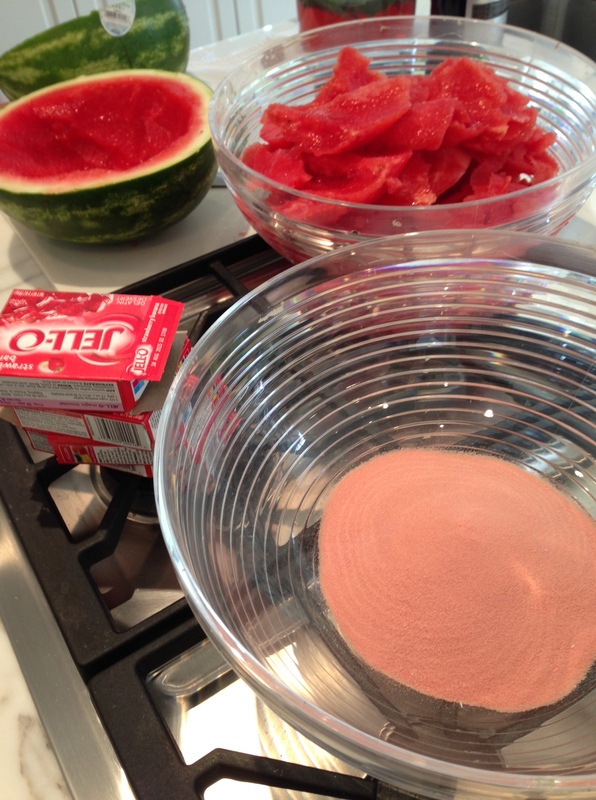 Cover jar and let sit at room temperature, without stirring, for 12-16 hours. 6. Strain the cold brew through a chinois or fine mesh strainer set over a large measuring cup or bowl. 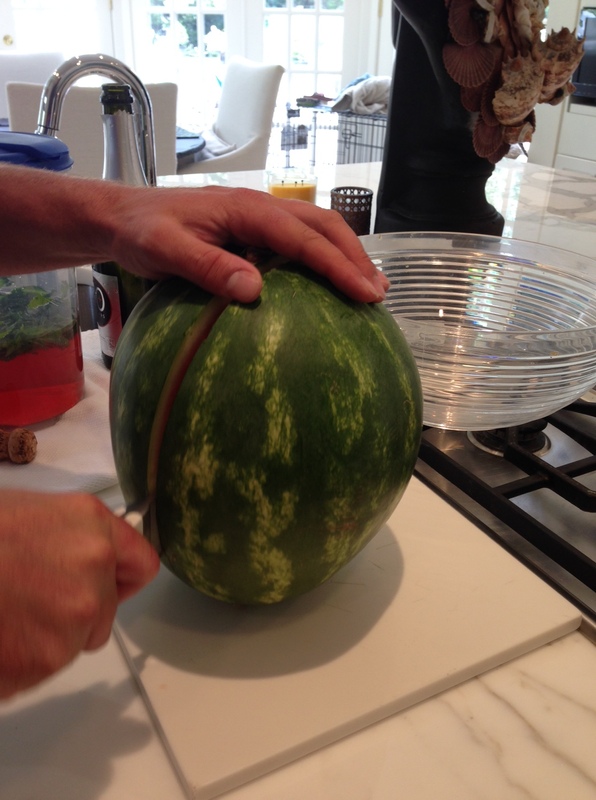 If you don’t have one, then line a medium mesh strainer with 3-4 layers of damp cheesecloth or a damp kitchen towel. You’ll have about 8 cups of coffee. 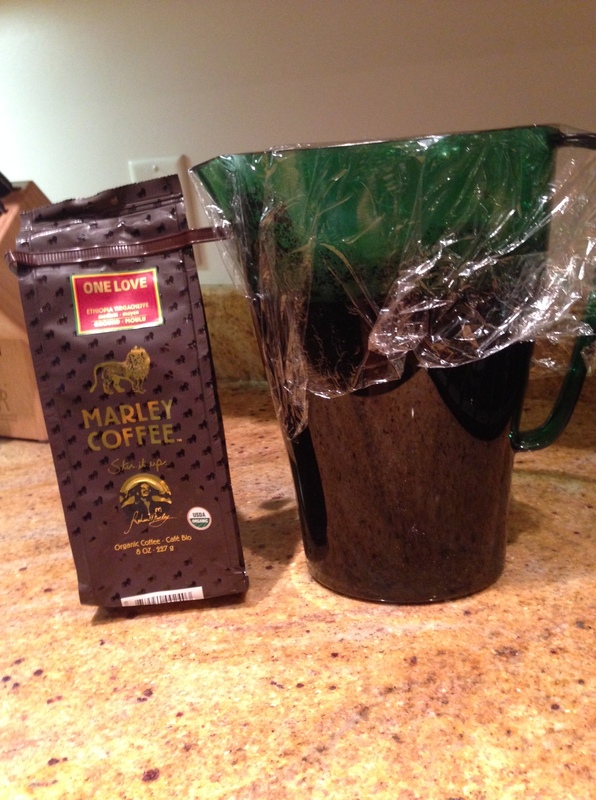 Then, transfer the coffee to a jar, seal, and keep in your refrigerator for up to 4 weeks. To serve, pour the coffee over ice. Add milk or water to dilute, if desired.